Yes sir, the Marines certainly can use some strong language. They will also fight and die for their country without so much as a second thought. 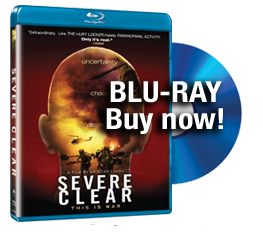 All of which comes through loud and clear in Kristian Fraga’s Severe Clear (trailer here), a documentary edited from video recorded by USMC First Lieutenant Mike Scotti and his fellow Marines that opens this Friday in New York and San Diego (home to MCAS Miramar and the Naval Base). What started as notes for a projected book became a video diary and ultimately a theatrical documentary, divided into chapters that follow the Marine’s tour of duty. Strictly speaking, it seems like Scotti ought to be credited as the director of Severe, with Fraga listed as editor and co-producer. After all, it was Scotti who shot most of the footage and acquired the rest from his Marine brothers. His is the dominant voice that speaks on behalf of his comrades, though how representative his current disillusionment is will obviously be debatable. Scotti wanted to show people the realities of war, and his film certainly does that. However, in the age of embeds and documentaries like Brothers at War, Severe’s battle scenes are definitely dramatic (indeed, Scotti has a good eye for visuals), but not exactly groundbreaking. However, it makes an incredibly valuable contribution by letting viewers hear the Marines themselves in their own unvarnished words. Truly, more F-bombs are dropped in Severe than smart bombs, by a factor of about a thousand, but it really gives the audience a sense of how they think. There are three really unforgettable sequences in Severe (which is about three more than most films). The first is Scotti’s attitude rich explanation of what it means to be a Marine that is probably destined to become an internet sensation on youtube. The filmmaker tells us: “I believe every Marine is inherently loyal and a whole lot crazy,” and much more that I cannot quote here. Perhaps even more memorable is Scotti’s touching tribute to a casual high school friend, whose death at the World Trade Center directly inspires his service. The third unforgettable scene captures an officer’s address to the 1st Battalion as they embark on the initial push into Iraq. If not St. Crispin’s Day, it is still quite stirring and every American can be proud of the sentiments expressed. Most critics will probably focus on Scotti’s criticism of the war, particularly the dearth of WMDs in Saddam’s armories. Yet, that misses the human element of the film, which is what is most compelling about it. 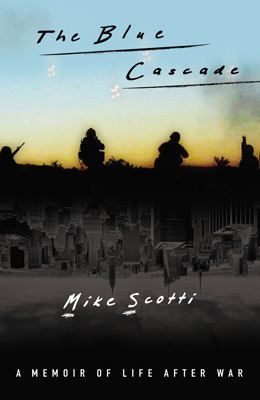 Ultimately, Severe is quite a moving tribute to Scotti’s fellow Marines who willingly fight and die for their country and each other.